I’ll never forget it. 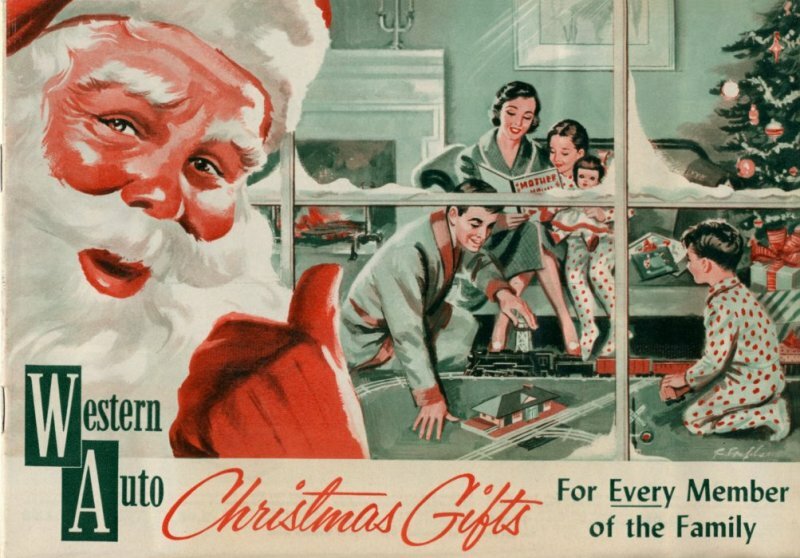 1960 it was, and Christmas. For weeks I’d been consumed with what I might find under the Christmas tree. What did I want to find? A bicycle, of course; that was my big wish. But, I’d seen them in the catalogues that were arriving regularly in our mailbox lately. A bicycle cost $25 and some were as much as $49! That was an awful pile of money, and I just couldn’t see any way that particular dream was going to come true. Christmas morning. The sun was barely peeking over the hills in front of the house when my two brothers and I bounded out of bed and raced for the living room. Gadzooks, it was cold! The fire had burnt out, of course, and the house was frigid. None of that mattered as we fell to our knees in front of the tree. Toys and clothes of every description lay scattered under the tinsel laden cedar tree. I didn’t see any hint of a bicycle. With our parents looking on, we dove into the loot left by some old fat guy from the North Pole. Our joyful shrieks finally died down to a dull roar and none of us noticed that Dad had disappeared. With a bang, the front door flew open and there he stood, holding the most beautiful thing I’d ever seen up to that day. 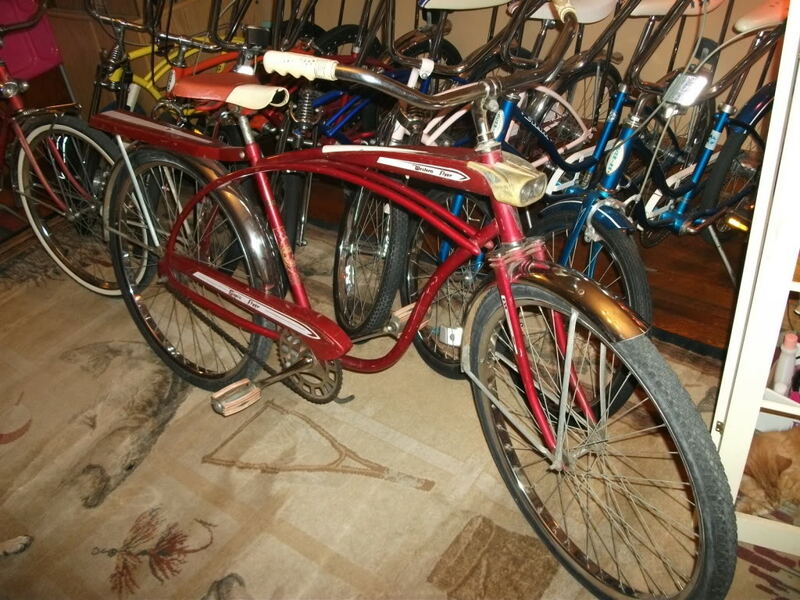 It was a bright, shiny Western Flyer “Clipper” model bicycle! The paint was brilliant red, with white stripes along the sides. Behind the seat was a platform of sorts for carrying parcels. It would be used primarily as a passenger seat. Battery operated headlamps would allow me to ride at night. Did I mention this machine was gorgeous? Dad was grinning at me and said, “What are you waiting for? Let’s take it out for a spin!” As quick as a wink I was in shoes, pants, and jacket as I shot out the door. Now, I’ve told you we lived out in the countryside. The “little road” was our driveway; so known because it was long. Not the typical driveway at all because we lived well off the “big road” as it was called. The big road was dirt. No asphalt or tar and gravel sealed it at that time, much to the dismay of Mother and my Nannie. But, that’s a story I’ll tell another time. The big road in front of the house was on a hill. Turns out, it was more Alpine than I’d ever realized before that morning, looking down it from the driver’s seat of my new bike. The little road was at the bottom of the hill and it leveled out from there, past Nannie and Granddaddy’s house and out to the mailbox. The entire distance couldn’t have measured more than one-tenth of a mile, but that morning it looked like the road to Oz! Dad and I pushed the bicycle up near the top of the hill and he held it whilst I got astride. Suddenly, and without warning, we were moving! Dad’s big, protective hand was holding the seat as he pushed me along. And then he wasn’t there and I was flying down the hill! I had to have been moving along at 75 miles per hour, at least! Gallons of adrenaline rushed through my system. The cold wind brought tears out the corners of my eyes and I was grinning like a complete eejit! As Nannie’s house rushed past in a blur, I remember Dad’s instructions on using the brake and making a U-turn at the intersection. If you’ve ever lived in the countryside, on dirt roads, you’ll know how the fine sand and small gravel will pile up at intersections. The tires had pushed it into a triangular shape beside our mailbox. When I reached the turn I gently applied the brake and turned the handlebars ever so slightly just like Dad had told me to do. In an instant my whole world turned upside down. The front tire sank into the sand and gravel mixture and caused my very first bicycle ride to end in my very first wreck. I flew off the bicycle and felt my mouth filling with pebbles as the larger gravel scraped the side of my face. I didn’t even feel the pain on my face as I leapt up from the ground to help my precious new possession. Was he hurt? Would he be able to roll again? My hands and eyes flew across the surfaces, checking for lacerations, contusions, and fractures. Everything appeared to be normal, and Dad appeared at my side. I stood up and started to push the bicycle back home. In those days, of course, I didn’t know about the philosophy of getting back on a horse after falling off. I was plenty scared, I can tell you, but I didn’t want to disappoint my father. He held it again for me to mount and gave me a little push. Now moving at a less breakneck speed, I began to feel the control. I was “officially” a bike rider and I was as proud as a whitewashed pig! Over the years my parents provided my siblings and I a great deal of wisdom. We didn’t notice it at the time, of course, but it stuck with us nonetheless. We were five very lucky young’uns to have had the benefit of living under our parents. Merry Christmas, everyone. Thank you all so much for reading my little tales over the past year. Each of you has brought a great deal of joy to me and I’m looking forward to spinning a few more yarns for you next year! This entry was posted in Christmas, Random Musings and tagged Bicycle, Christmas, Dad, Mother, Western Flyer. Bookmark the permalink. A lovely story, Jim. Your bike looks terrific. I remember the day I learned to ride a bike…my father pushing me off as I wobbled and finally found my balance… I’m doing the same with my own children now – launching them on their first solo bike rides always makes me think of that day with my own dad – and your tale has brought it all back again. These vital memories are what like is all about…nurturing them and finding the kernal of truth that each precious moment holds and appreciating it is, I feel, an important part of our own development. Thanks for sharing your memories and reigniting my own. Happy Christmas. Thank you, David! 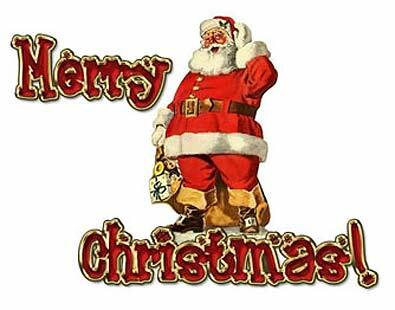 Merry Christmas to you and your family!